I love working with Mod Podge. In my opinion, it’s one of the best crafting “tools” out there. If you’ve never worked with it you’re totally missing out (and, possibly, have been living in a cave). 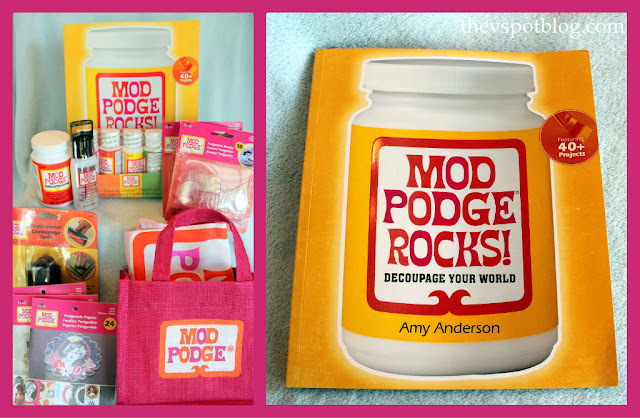 Chances are you’re familiar with the fabulous blog Mod Podge Rocks, and now the author of that blog, Amy Anderson, has written a book! I have had the pleasure of meeting Amy and have to say that her book conveys every bit of the warmth, energy and creativity that she exudes in person. She reminds us that practically anything and everything can be transformed with a little bit of creativity…. 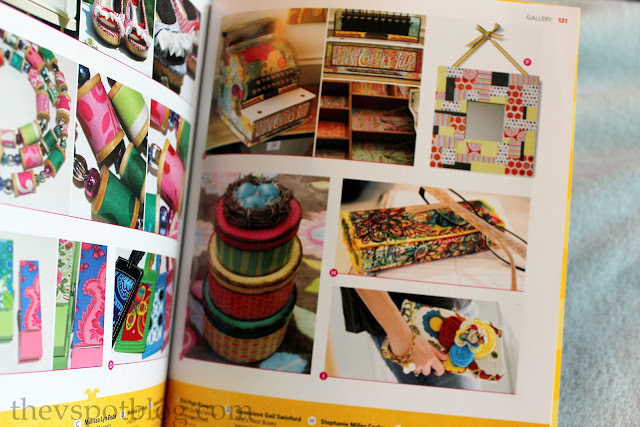 and there is plenty in this book to get your creative juices flowing. 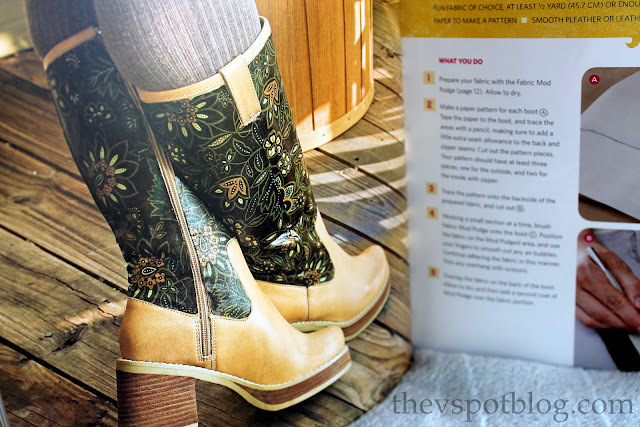 Check out these boots that she transformed into something fabulous with cute fabric and a little Mod Podge! And how cute is this idea…? Every day Grant gives me at least 10 art projects. (All of them masterpieces, of course). There is only so much room on my refrigerator. How about reducing the images and turning them into an adorable bracelet?! There are more than 40 projects with step-by-step, easy to follow instructions… guaranteed to help you channel your inner crafter. Mod Podge Rocks! : Decoupage Your World can be purchased at amazon.com and Barnes & Noble but if you would rather try to win a copy of the book and a Mod Podge prize pack full of goodies you can enter here! Good luck! Thanks so much to Amy at Mod Podge Rocks and to Plaid Crafts for donating these items for this fabulous giveaway! Disclosure: I received a copy of this book for the purposes of review but have not been compensated in any other way. All opinions expressed are 100% my own. I rediscovered Mod Podge through Amy’s blog and have been hooked ever since. My next Mod Podge project will be some trinket boxes that need spruced up. i hae several projects linedup. fabric covered plates and recently my sister gave me an awesome japanese green tea ceremony package box that i would love to covercthat to use for a travel crafting box. I plan on using Mod Podge for some pretty magnets for my new kitchen command center. I need to add some style to the inside of my dresser! Mod Podge will next transform a few picture frames around the house. I’m new with Mod Podge, so I am excited to see this book!! I will be using some today to make some cute block words. I’m working on some picture frames! Those boots are so inspiring! I think they may be my next project…of a piece of art for my wall…its so naked right now! I’m taking a mixed media art class and we use MP in out projects!! Love it! I want to embellish a train case! My next project is a serving tray! I’ve loved MP for years. My next project is putting fabric in a bookcase. Thanks for another great give-away!!!!!! I’m gonna make a hollow book! Day gift and the book would be so helpful! Thanks for the opportunity! I love Mod Podge and use it on many of my projects! I LOVE Mod Podge! I want to make some jewelry to wear next! I’m planning on covering some boxes to use as storage above my desk! I have so many projects! The first on my list are smaller items with fabric. I’m going to make a keepsake box for my son. I want to try the Dimensional Magic for some jewelry – so cool! I love to Mod Podge….everything…planters for my deck are next!! This is an awesome giveaway!! Thank you!! Gosh, what a blast from my past! I would like to redo my daughter’s toybox for my granddaughter. Working on a clock for the RV. I’d love to make the bracelet with the pictures…I can think of a certain Mom that so deserves to have a gift like that…and I’d love to be able to make it — and know how to make it. Thanks for the chance. You all are great! I really want to Mod Podge some fabric on my buffet we use as our entertainment center. I also plan on using Mod Podge to apply some cute fabric shapes to my classroom desk. Thanks for the awesome giveaway! I plan to modge podge my desk. 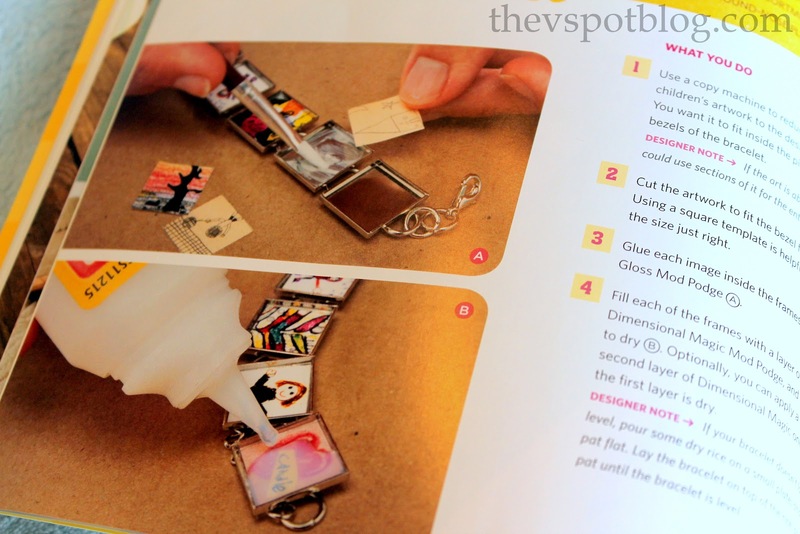 This book has some awesome projects in it – I love Mod Podge! I’d like to try some Mod Podge on some old furniture I have to add to my new craft room that will be finished in a few weeks. I am doing it very low cost, this would help! LOVE Mod Podge!!! 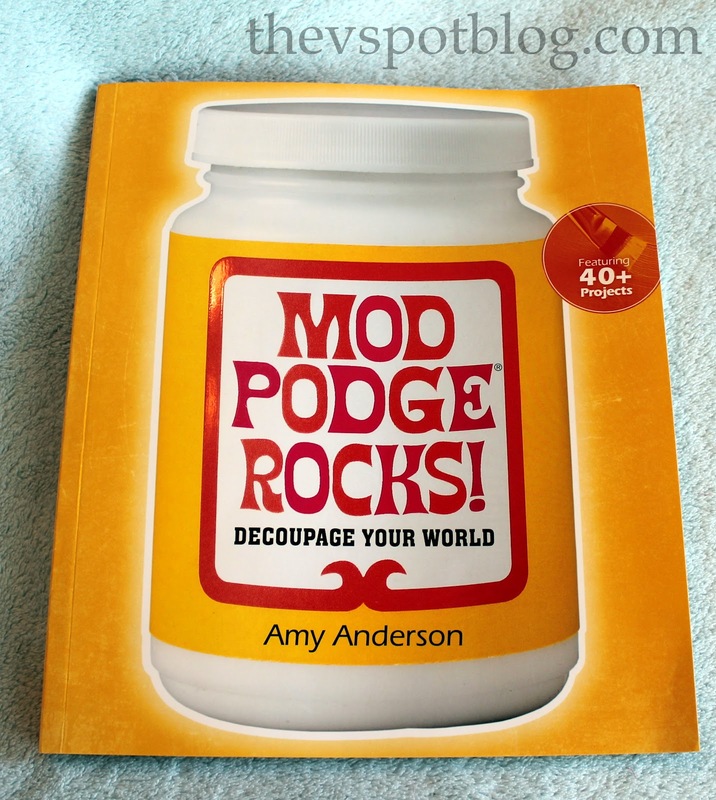 You know…I’ve *never* used Mod Podge! Can you imagine? But I do plan to cover a clipboard this summer with pretty scrapbooking paper so I could really use some! A little bit of everything- I have a set of shutters that I’d love to redo and make into something awesome! Boxes! Storage boxes for craft supplies! I have a wooden tray that I would like to cover with some Japanese motifs. I’d love to try out the Dimensional Magic on some coasters. I will probably mod podge some sort of 4th of July decoration- I have this cute heart and might mod podge on some cute flag fabric. I love Mod Podge! I was using it way before it was cool lol 🙂 I’m not sure what I am going to Mod Podge next…I’m thinking about trying the outdoor Mod Podge to make some neat rocks to line my walk way!